This series of articles develops the biblical doctrine of the church. This article is the third in this series. The first is “Introduction to articles on the doctrine of ‘church.’” The second is “Definition, organization, and purposes of a church” (Note. Simply left click blue underlined links to go directly to link). In order to understand why incorporated 501(c)(3) churches have violated biblical principle and grieve our Lord Jesus Christ, one must first be saved. Second, he must understand the biblical principles of government, church, and separation of church and state. He must then understand the facts about and legalities of incorporation and 501(c)(3). Finally, he must apply principles to facts and law. May we believers continue to grow in knowledge, understanding, and wisdom as we seek to please our God and Savior. 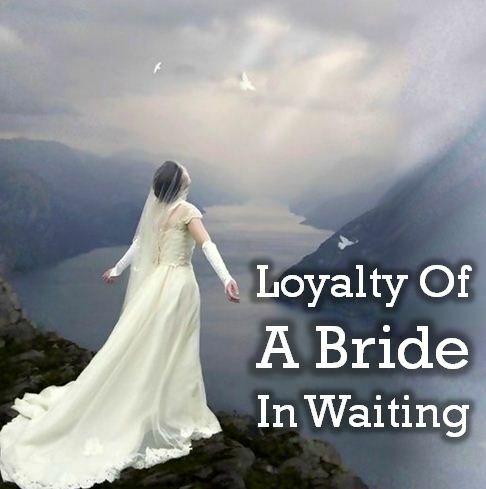 The Bible teaches that Christ desires to be the Bridegroom/Husband/Head of His churches. As to the issue of separation of church and state, this is particularly important. This article will look at biblical teaching on this issue. To understand how churches violate the biblical principle of the headship of Christ over His churches, one must apply the biblical principles to the facts and law—e.g., what is incorporation, what is Internal Revenue Code § 501(c)(3) (See, for thorough studies, Sections III, IV, and VI of God Betrayed/Separation of Church and State: The Biblical Principles and the American Application which is reproduced on this website in both PDF and online form. See Review of Books by Jerald Finney and Order infomration for books by Jerald Finney for information on this and other books by Jerald Finney.). This blog publishes articles that will systematically examine the biblical principles as well as historical and legal facts necessary to understand the mind of God on the issue of separation of church and state in general and specifically applied to the American landscape. Churches are called the bride of the Lamb. Christ is the bridegroom of the church: “Ye yourselves bear me witness, that I said, I am not the Christ, but that I am sent before him. He that hath the bride is the bridegroom: but the friend of the bridegroom, which standeth and heareth him, rejoiceth greatly because of the bridegroom’s voice: this my joy therefore is fulfilled” (Jn. 3.28, 29). “Would to God ye could bear with me a little in my folly: and indeed bear with me. For I am jealous over you with godly jealousy: for I have espoused you to one husband, that I may present you as a chaste virgin to Christ. But I fear, lest by any means, as the serpent beguiled Eve through his subtilty, so your minds should be corrupted from the simplicity that is in Christ. For if he that cometh preacheth another Jesus, whom we have not preached, or if ye receive another spirit, which ye have not received, or another gospel, which ye have not accepted, ye might well bear with him” (The Holy Spirit writing to the church at Corinth in 2 Co. 11.1-4). “Wherefore, my brethren, ye also are become dead to the law by the body of Christ; that ye should be married to another, even to him who is raised from the dead, that we should bring forth fruit unto God” (Ro. 7.4). “For the husband is the head of the wife, even as Christ is the head of the church: and he is the savior of the body. 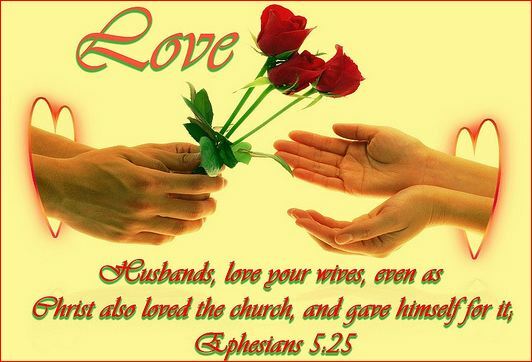 Therefore as the church is subject unto Christ, so let the wives be to their own husbands in everything. Husbands, love your wives, even as Christ also loved the church, and gave himself for it; That he might sanctify and cleanse it with the washing of water by the word. That he might present it to himself a glorious church, not having spot, or wrinkle, or any such thing; but that it should be holy and without blemish. For no man ever hated his own flesh; but nourisheth and cherisheth it, even as the Lord the church: For we are members of his body, of his flesh, and of his bones. For this cause shall a man leave his father and mother, and shall be joined unto his wife, and they two shall be one flesh. This is a great mystery: but I speak concerning Christ and the church. Nevertheless let every one of you in particular so love his wife even as himself; and the wife see that she reverence her husband” (Ep. 5.23, 25-27, 29-33). “And I heard as it were the voice of a great multitude, and as the voice of many waters, and as the voice of mighty thunderings, saying, Alleluia: for the Lord God omnipotent reigneth. Let us be glad and rejoice, and give honour to him: for the marriage of the Lamb is come, and his wife hath made herself ready. And to her was granted that she should be arrayed in fine linen, clean and white: for the fine linen is the righteousness of saints” (Re. 19.6-8). “But ye are come unto mount Sion, and unto the city of the living God, the heavenly Jerusalem, and to an innumerable company of angels, To the general assembly and church of the firstborn, which are written in heaven, and to God the Judge of all, and to the spirits of just men made perfect, And to Jesus the mediator of the new covenant, and to the blood of sprinkling, that speaketh better things than that of Abel” (He. 12:22-24). “For if we believe that Jesus died and rose again, even so them also which sleep in Jesus will God bring with him. For this we say unto you by the word of the Lord, that we which are alive and remain unto the coming of the Lord shall not prevent them which are asleep. 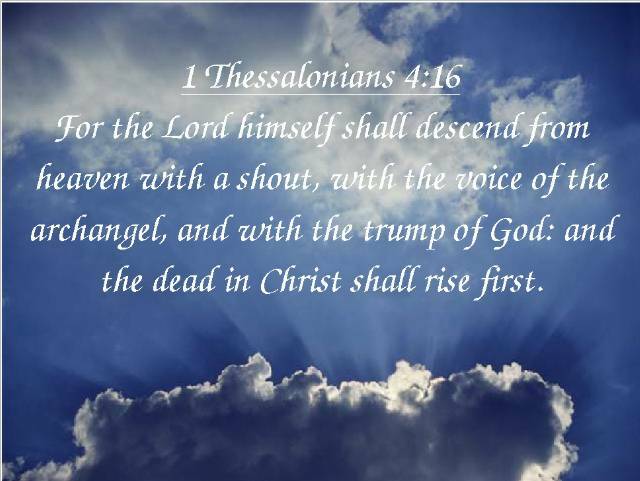 For the Lord himself shall descend from heaven with a shout, with the voice of the archangel, and with the trump of God: and the dead in Christ shall rise first” (1 Th. 4.14-16). “Typically, the book of Ruth may be taken as a foreview of the church—Ruth, as the Gentile bride of Christ, the Bethlehemite who is able to redeem” (1917 Scofield Reference Edition, Headnote to Ruth, p. 315. The author quotes Scofield only when he agrees with the quote. Scofield was not right about everything, but he was right about some matters. A open-minded Holy Spirit led study of the word of God will lead one to truth, including the truth of the biblical teachings of any man.). “Let us be glad and rejoice, and give honour to him: for the marriage of the Lamb is come, and his wife hath made herself ready. And to her was granted that she should be arrayed in fine linen, clean and white: for the fine linen is the righteousness of saints. 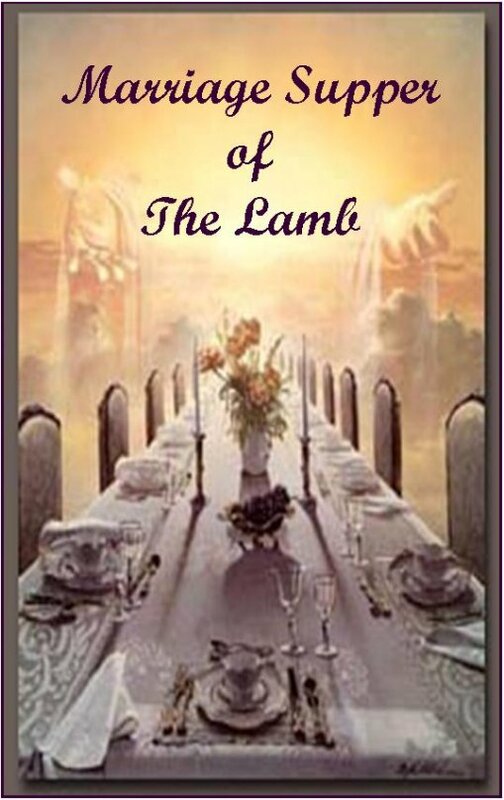 And he saith unto me, Write, Blessed are they which are called unto the marriage supper of the Lamb. And he saith unto me, “These are the true sayings of God” (Re. 19.7-9; see also Re. 21.9-22.17). The husband is to be the only head of the wife, and Christ is to be the only Head of His churches. 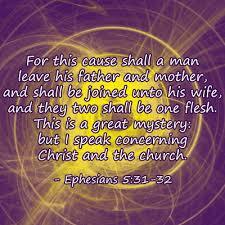 See Ephesians 5.23, 25-27, 29-33 quoted above. “And hath put all things under his feet, and gave him to be the head over all things to the church” (Ep. 1.22). After Jesus was born, “there came wise men from the east to Jerusalem, Saying, where is he that is born King of the Jews? for we have seen his star in the east, and are come to worship him” (Mt. 2.1-2). “‘The King’ is one of the divine titles (Psa. 10.6), and so used in the worship of the Church (I Tim. 1.17), but Christ is never called ‘King of the Church.’ He is ‘King of the Jews’ (Mt. 2.2) and Lord and ‘Head of the Church’ (Eph. 1.22, 23)” (1917 Scofield Reference Edition, n. 1 to Matthew 2.2, p. 995). “Who is the image of the invisible God, the firstborn of every creature: For by him were all things created, that are in heaven, and that are in earth, visible and invisible, whether they be thrones, or dominions, or principalities, or powers: all things were created by him and for him: And he is before all things, and by him all things consist. And he is the head of the body, the church: who is the beginning, the firstborn from the dead; that in all things he might have the preeminence” (Col. 1.15-18). Christ, likened unto a husband, because of His love for the church, gave Himself to redeem the church. He is, in love, sanctifying the church, and will present the church to Himself as a reward for His sacrifice and labor of love, a glorious church, not having spot, or wrinkle, or any such thing, a perfect church without spot or blemish, “one pearl of great price” (Mt. 13.45-46). Jesus is the Father’s love-gift to the world. “For God so loved the world, that he gave his only begotten Son, that whosoever believeth in him should not perish, but have everlasting life” (Jn. 3.16). The believer, the church member, is His reward, given Him as a love-gift by the Father. 1917 Scofield Reference Edition, n. 3 to John 17.2, p. 1139. “As thou hast given him power over all flesh, that he should give eternal life to as many as thou hast given him” (Jn. 17.2). “I have manifested thy name unto the men which thou gavest me out of the world: thine they were, and thou gavest them me; and they have kept thy word” (Jn. 17.6). “I pray for them: I pray not for the world, but for them which thou hast given me; for they are thine” (Jn. 17.9). 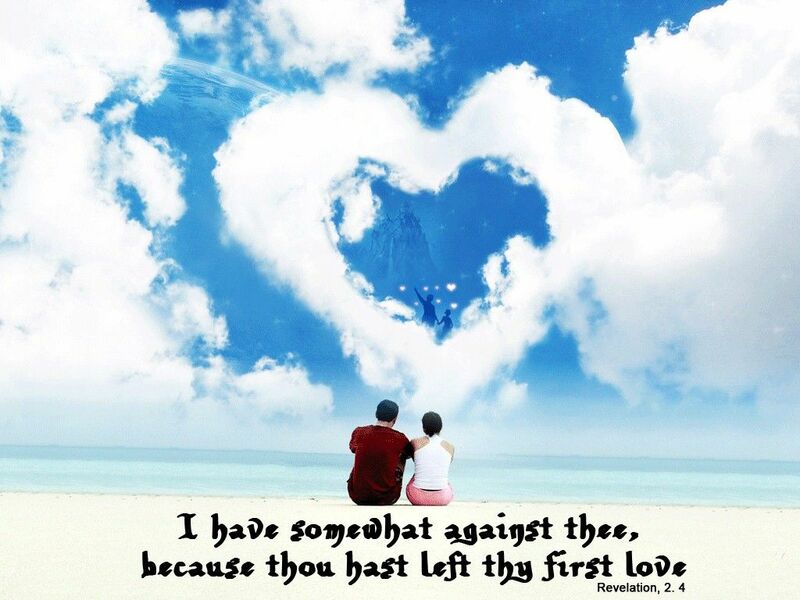 “And now I am no more in the world, but these are in the world, and I come to thee. Holy Father, keep through thine own name those whom thou hast given me, that they may be one, as we are. While I was with them in the world, I kept them in thy name: those that thou gavest me I have kept, and none of them is lost, but the son of perdition; that the scripture might be fulfilled” (Jn. 17.11-12). “Father, I will that they also, whom thou hast given me, be with me where I am; that they may behold my glory, which thou hast given me: for thou lovedst me before the foundation of the world” (Jn. 17.24). Just as a bridegroom gives gifts to his earthly bride, so Christ gives gifts to His bride, to those whom the Father gave Him (1917 Scofield Reference Edition, n. 3 to John 17.2, p. 1139). (1) He gives His bride eternal life: “As thou hast given him power over all flesh, that he should give eternal life to as many as thou hast given him” (Jn. 17.2). (2) The Father’s name: “I have manifested thy name unto the men which thou gavest me out of the world: thine they were, and thou gavest them me; and they have kept thy word…. And I have declared unto them thy name, and will declare it: that the love wherewith thou hast loved me may be in them, and I in them…. Jesus saith unto her, Touch me not; for I am not yet ascended to my Father: but go to my brethren, and say unto them, I ascend unto my Father, and your Father; and to my God, and your God” (Jn. 17.6, 26; 20.17). (3) The Father’s words: “For I have given unto them the words which thou gavest me; and they have received them, and have known surely that I came out from thee, and they have believed that thou didst send me…. I have given them thy word; and the world hath hated them, because they are not of the world, even as I am not of the world” (Jn. 17.8, 14). (4) His own joy: “And now come I to thee; and these things I speak in the world, that they might have my joy fulfilled in themselves” (Jn 1.7.13). (5) His own glory: “And the glory which thou gavest me I have given them; that they may be one, even as we are one” (Jn. 17.22). Loving God is preeminent for a believer and for a church. One does not love God by just asserting that he loves God. Jesus said, “If ye love me, keep my commandments” (Jn. 14.15) The greatest commandment is to love the Lord with all one’s heart, soul, mind, and strength (Mt. 22.37; Mark 12.30; Lu. 10.27). Love is action. This love between Christ and His church is seen in the Song of Solomon. The Song of Solomon, “[p]rimarily, is the expression of pure marital love as ordained of God in creation, and the vindication of that love as against both asceticism and lust—the two profanations of the holiness of marriage. 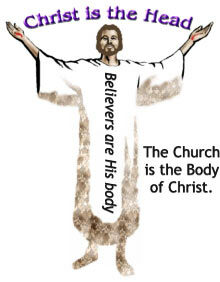 The secondary and larger interpretation is of Christ, the Son and His heavenly bride, the Church (2 Cor. 11.1-4, refs. )” (1917 Scofield Reference Edition, Headnote to Song of Solomon, p. 705). “Many waters cannot quench love, neither can the floods drown it: if a man would give all the substance of his house for love, it would be utterly contemned” (Song of Solomon 8.7). “Contemned” means “despised, scorned, slighted, neglected, or rejected with disdain” (AMERICAN DICTIONARY OF THE ENGLISH LANGUAGE, NOAH WEBSTER (1828), definition of “CONTEMNED”). God despises, scorns, slights, neglects, or rejects with disdain all that a church does, whatever professions of love she makes, if those acts and/or professions are without love. A church who does not honor Christ as a wife is to honor her bridegroom and her husband, by remaining pure and chaste, does not display love for the Lord. Thus, loving ones neighbor by witnessing to him, sending missionaries to him, helping him materially or any other way in obedience to the second commandment—“Thou shalt love thy neighbor as thyself”—is vanity in God’s eyes if one ignores the greatest commandment. The love of the temporal—e. g., worldly organization, ownership of property, worldly power and prestige, etc.) by a church infringe the total love (charity) which Christ desires of his churches. This fact is also articulated in the New Testament. The Lord Jesus is jealous over His church. If we do not love the Lord Jesus, He despises all the “Christian” work we do and the money we put in the offering plate. “Though I speak with the tongues of men and of angels, and have not charity, I am become as sounding brass, or a tinkling cymbal. And though I have the gift of prophecy, and understand all mysteries, and all knowledge; and though I have all faith, so that I could remove mountains, and have not charity, I am nothing. And though I bestow all my goods to feed the poor, and though I give my body to be burned, and have not charity, it profiteth me nothing” (1 Co. 13.1-3). “Charity” speaks of God’s kind of love. “In a theological sense, [‘charity’] “includes supreme love to God and a universal good will to men. 1 Cor. xiii. Col. iii. 1 Tim. i” (AMERICAN DICTIONARY OF THE ENGLISH LANGUAGE, NOAH WEBSTER (1828), definition of “CHARITY”). Love is an act of the will. A church refutes its proclamations of love for the Lord when it wholly or partially takes the church from under the headship of her Husband, the Lord Jesus Christ or operates in any manner which is contrary to the principles for a church given in God’s word. Love “[r]ejoiceth not in iniquity, but rejoiceth in the truth” (1 Co. 13.6). Iniquity means “Injustice, unrighteousness, … [w]ant of rectitude [rightness in principle or practice], … a sin or crime; wickedness…” (AMERICAN DICTIONARY OF THE ENGLISH LANGUAGE, NOAH WEBSTER (1828), definitions of “INIQUITY” and “RECTITUDE”). Bible truth makes clear that the love of Christ for His church is immense, that He wants to be the only Head and companion of the church who is likened to His bride and wife, and that for a church to even partially put herself under or associate with another entity is a great wickedness and repudiates all professions of love for the Lord. As is shown in Section VI of God Betrayed (online version or link to PDF) and Separation of Church and State/God’s Churches: Spiritual or Legal Entities? (online version or link to PDF), the church who incorporates and secures a 501(c)(3) tax exemption commits wicked sinful acts in violation of biblical principle, and rejoices in iniquity by putting herself partially under two other heads (the state of incorporation and the federal government),. As the Lord Jesus Christ is jealous over His churches, so should pastors and church members be jealous, with a godly jealousy, over the church they belong to, just as Paul was: “For I am jealous over you with godly jealousy: for I have espoused you to one husband, that I may present you as a chaste virgin to Christ. But I fear, lest by any means, as the serpent beguiled Eve through his subtilty, so your minds should be corrupted from the simplicity that is in Christ. For if he that cometh preacheth another Jesus, whom we have not preached, or if ye receive another spirit, which ye have not received or another gospel, which ye have not accepted, ye might well bear with him” (2 Co. 11.2-4; Lu. 18.8; 2 Ti. 3.1-8). The church who really loves her Husband, the Lord Jesus Christ, will seek to maintain her purity, to be subject to her Husband in all things. All the professions of love, all the good deeds, the hymns sung, and the messages preached by a church who does not totally submit herself in all things to her Husband, are contemned by the Lord. A church who takes a 501(c)(3) tax exemption, an incorporation, a license, or any type permit from the state, or puts herself under the state in any way, becomes an earthly legal entity subject to the jurisdiction of earthly powers, the state and federal government. Such a “church” is in fact a two headed monster. Such a “church,” in spite of any professions of love for the Lord, according to her acts shows that she does not love the Lord Jesus Christ.